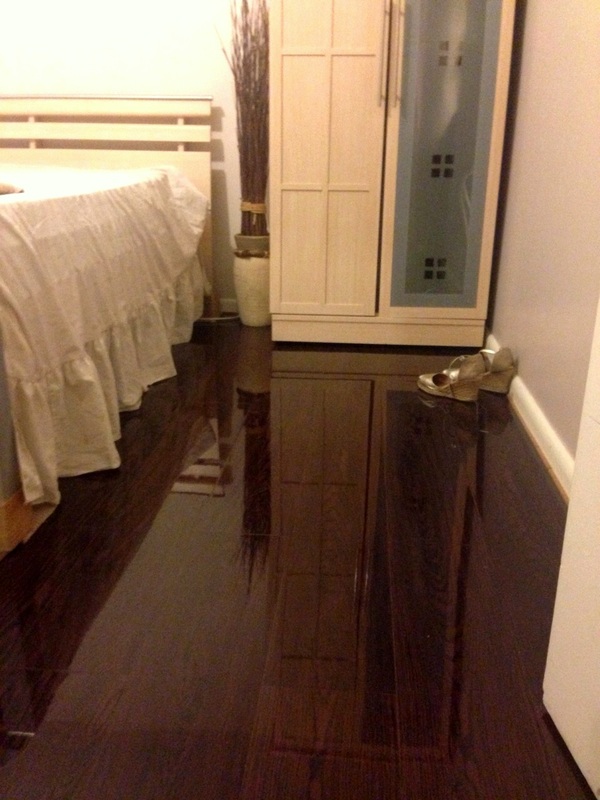 Chocolate Walnut was one of the first colours that Floorless Floors supplied when we started business. Whilst we have dropped other colours from our range in order to keep up to date with most recent trends, Chocolate Walnut has always been a great seller due to its versatility. It is a great colour that fits well with many colour schemes and rooms. 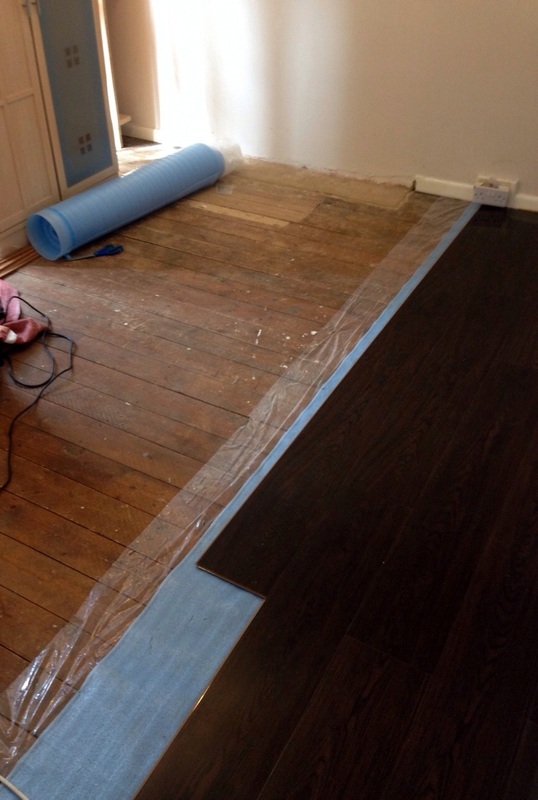 This recent customer chose to lay down this flooring as a surprise, whilst his partner was away for work for a few days. When they returned they could hardly believe their eyes. 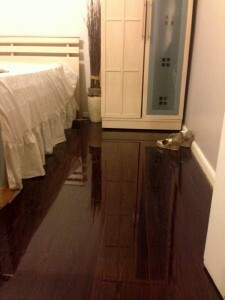 The high gloss flooring has given their room a complete new lease of life, without breaking the bank! Another luxury development by local property developer Chiltern Hills Property, using Floorless Floors high gloss Ivory laminate. 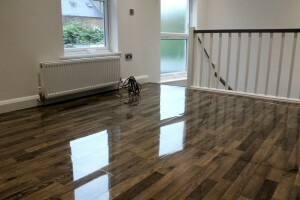 If you are a property developer, why not consider Floorles Floors high gloss laminate as a cost effective solution to give your project the ‘wow’ factor it deserves. 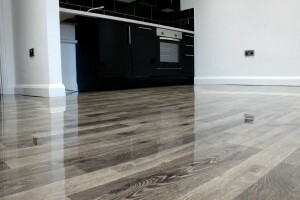 Local property developers Chiltern property have partnered with Floorless Floors.